Ojochal Vacation Rentals allows you to live your life while we take care of your property. 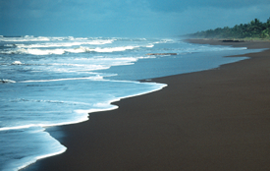 We also offer Costa Rican vacation rental solutions to qualified renters. If you have any questions or comments, please contact us by phone or email OR alternatively, use the Web Contact Form below, we’ll get right back to you. Thanks for your interest in Ojochal Vacation Rentals, we look forward to being of service & seeing you in magnificent Costa Rica……………..Pura Vida! !